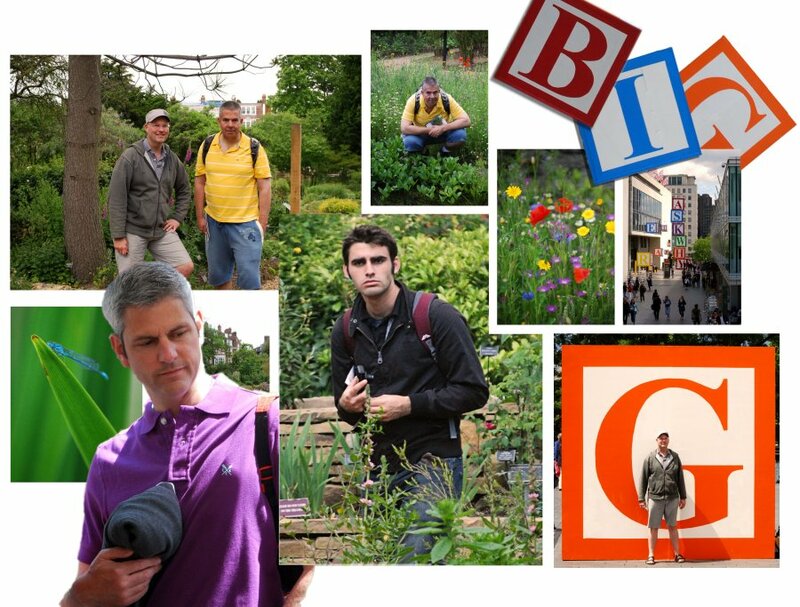 George and Nick's Summer 2012. 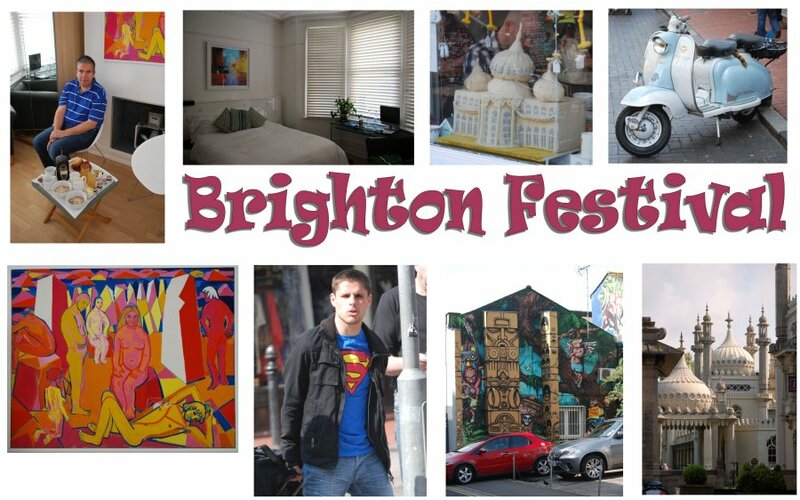 Brighton Festival. Dreamthinkspeak's The Rest is Silence. Hotel Nineteen Brighton. 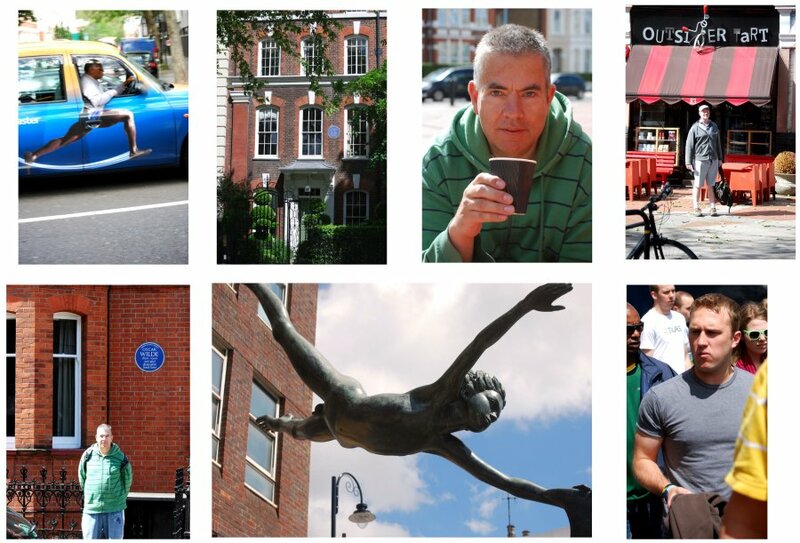 Matthew Bourne's Early Adventures. 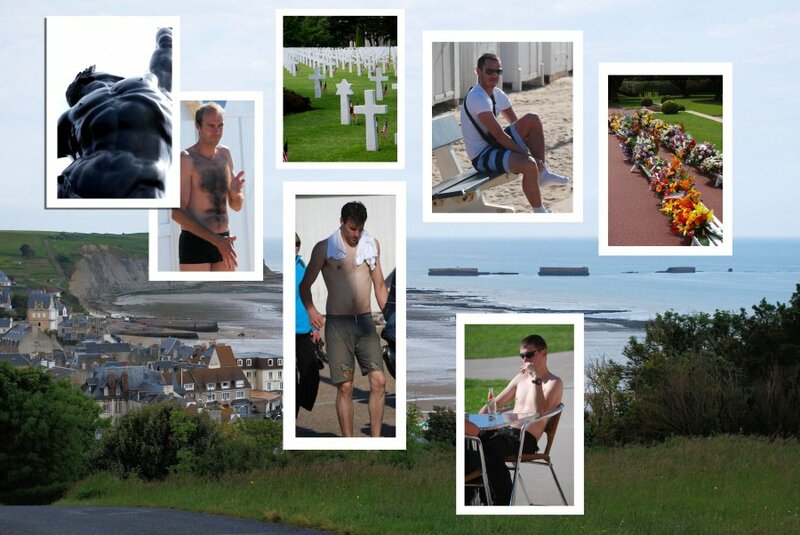 Cute men in Normandy. 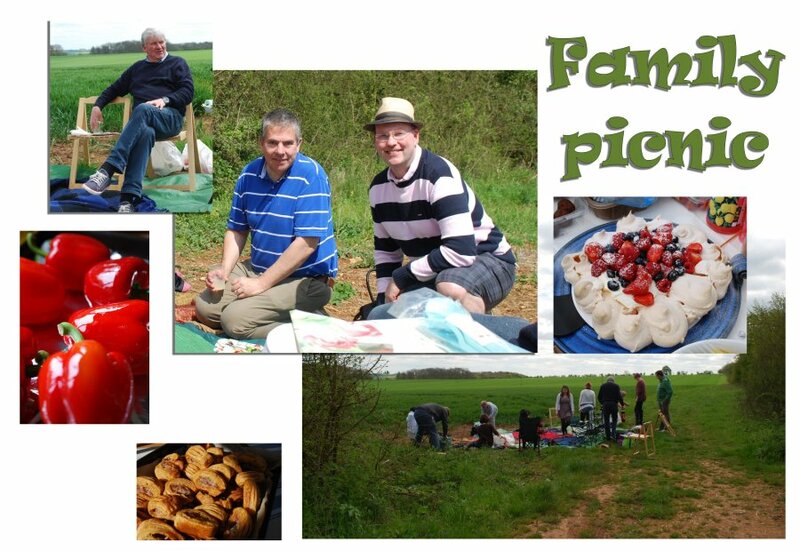 Family Picnic. Matthew Bourne Spitfire. World Naked Cycle Ride 2012 Southampton. Posh Laura Wade. 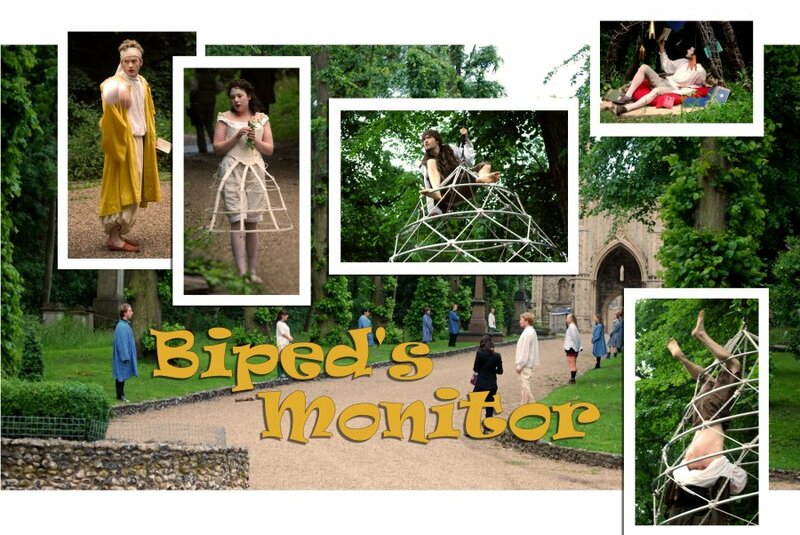 Biped's Monitor Arbonauts. Cute men in Chelsea. Jean Cocteau's house in Milly-la-Foret. Edouard Dermit. Cocteau's Saint Blaise chapel. 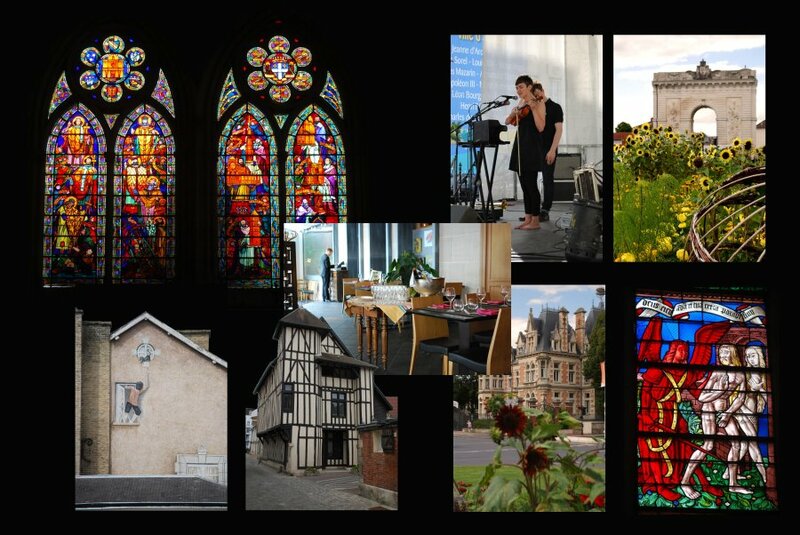 Chalons-en-Champagne. Epernay Mercier. Marc Chagall stained glass Reims. 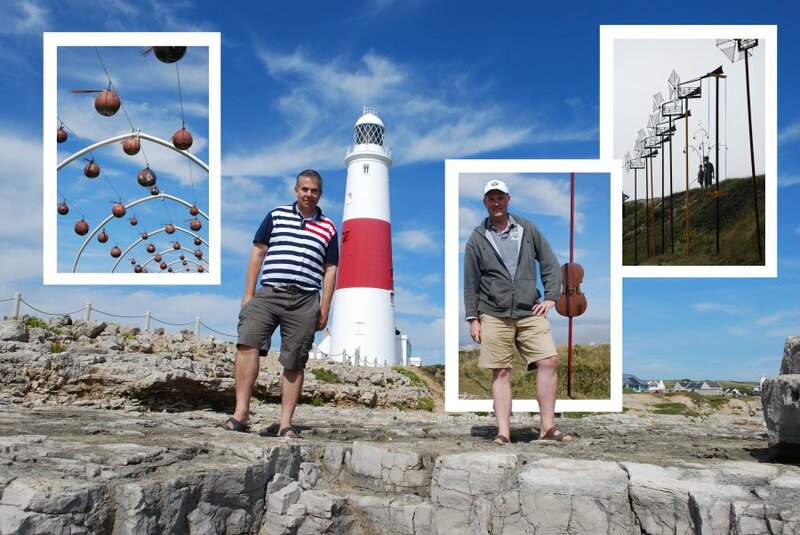 Our annual visit to the Brighton Festival took us to our favourite B&B, Nineteen. 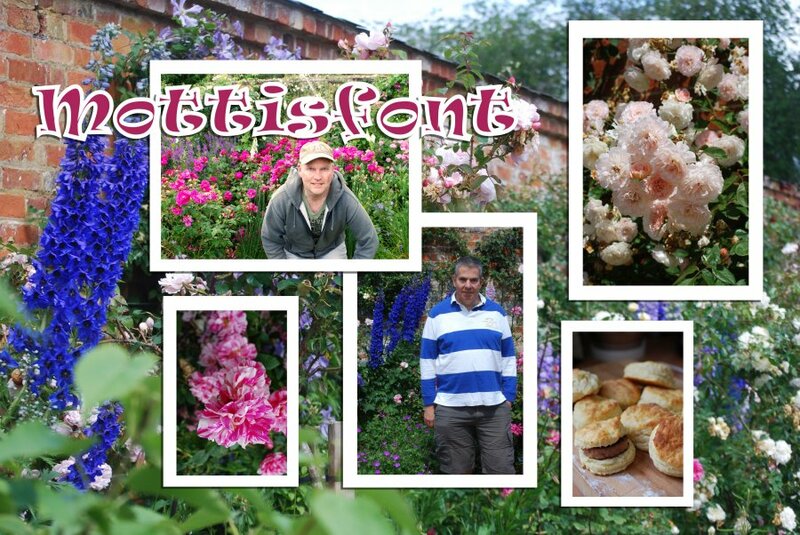 Click HERE to see 2011's visit. One Fringe performance had us following instructions through headphones in Brighton Station. We found amazing Latin cooking at one of the Open Houses. 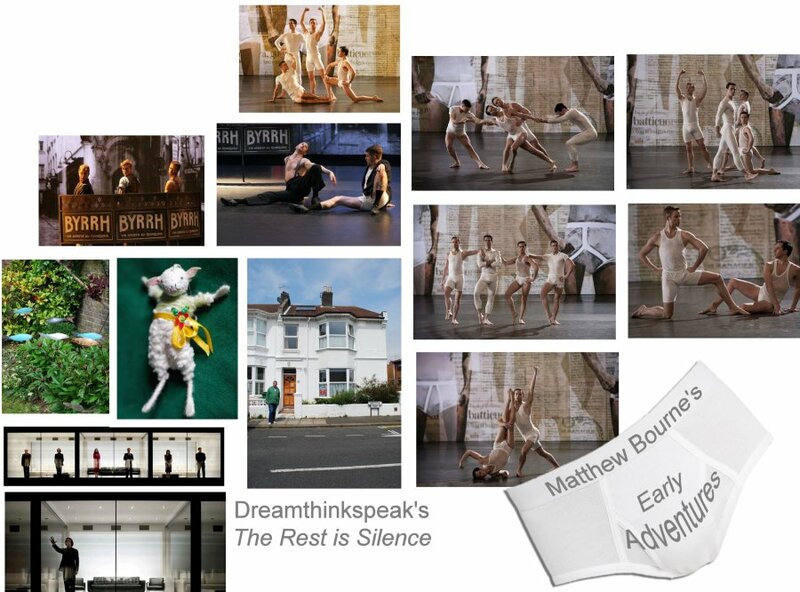 Dreamthinkspeak's The Rest is Silence was a bit disappointing after their unforgettable Before I Sleep, but Matthew Bourne's Spitfire, featuring underwear models, made up for it. The sheep ornament is the latest addition to our Christmas ornament collection. 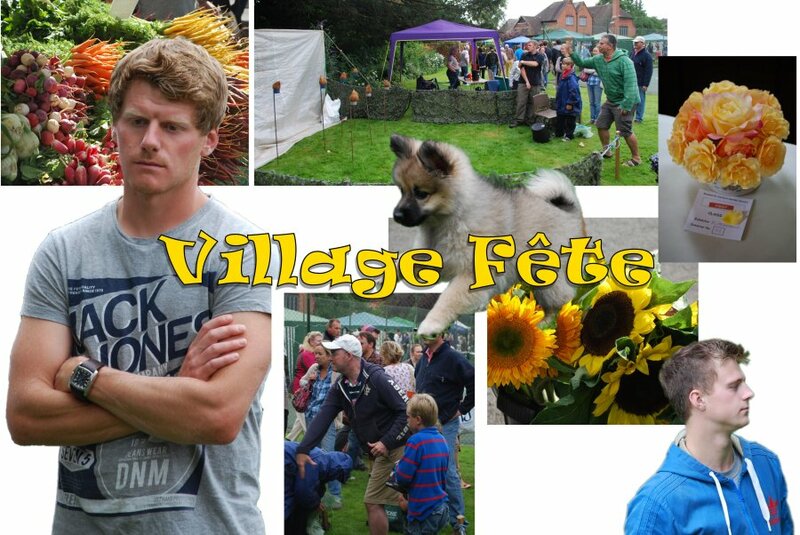 We honoured Nick's mother by returning to Winchcombe for a family picnic. 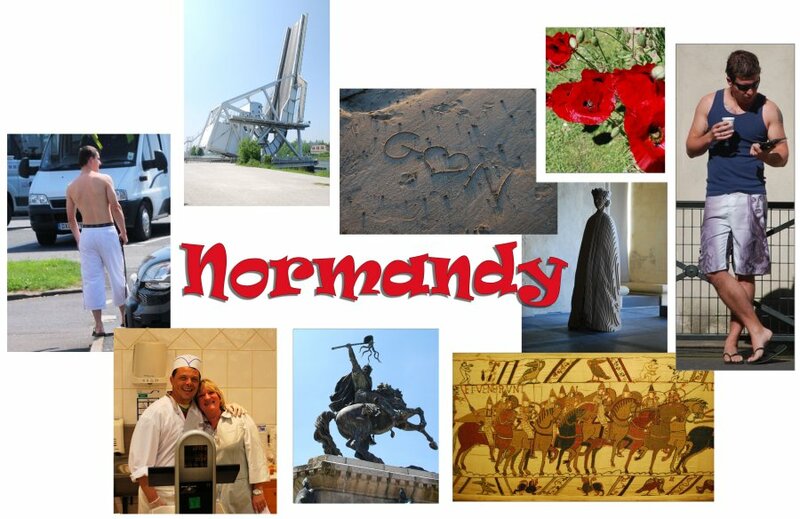 George returned to Normandy for another stunning school trip. 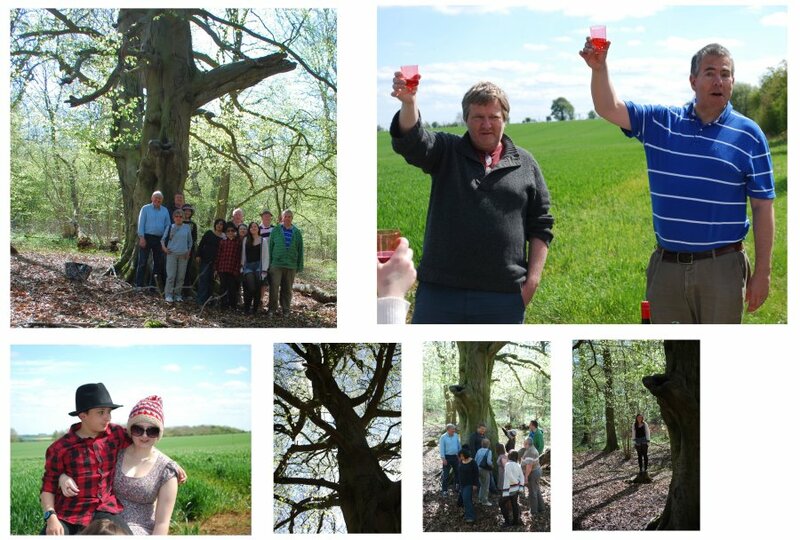 Click HERE to see last year's trip. 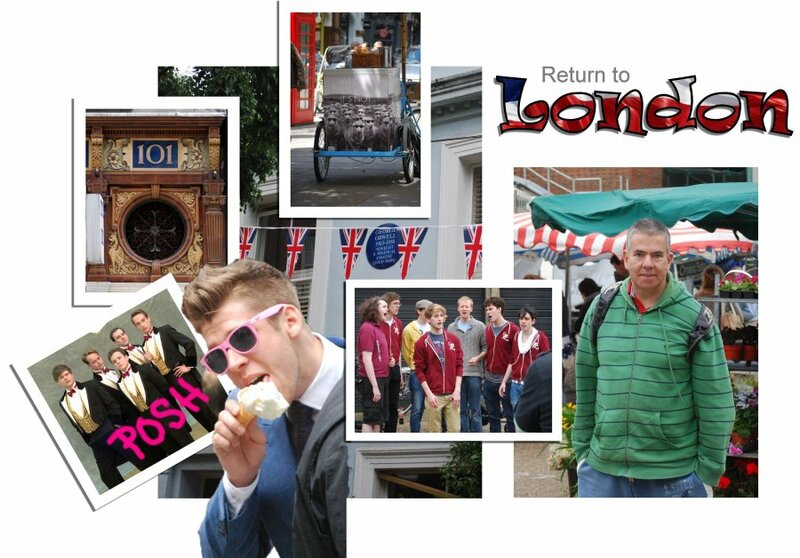 We enjoyed Laura Wade's gripping play, Posh and we heard a rather posh group of a capella singers on Portobello Road in London. It was Men's Fashion Week in London and we watched the man in the blue suit be photographed before he dropped his ice cream on the ground. The Arbonaut's production of Biped's Monitor, based on Italo Calvino's fairy tale, took us to Nunhead Cemetery at dusk. The singers imitated birdsong as the audience passed through. We spent a lot of time in Chelsea looking at blue plaques and visiting the Physic Garden, well worth the price of admission. 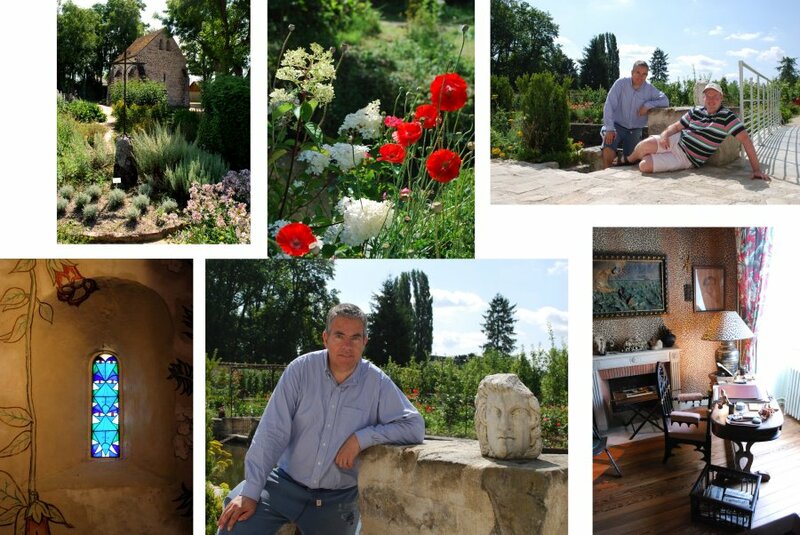 Nick's work took us back to France, where we made a visit to Jean Cocteau's house, just outside Paris. 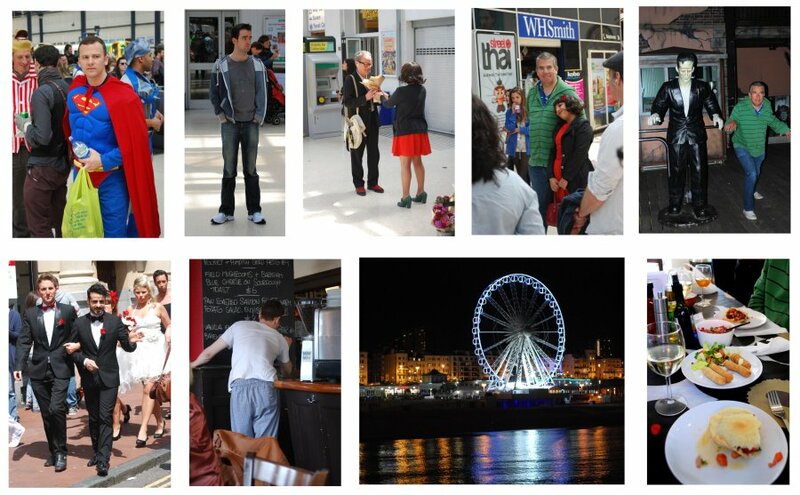 We first saw his work at an exhibition at the Pompidou Centre in 2003. "Companion" Edouard Dermit was Cocteau's muse, film star, gardener, and adopted son. He is largely responsible for the preservation of Cocteau's house in Milly-la-Forêt. 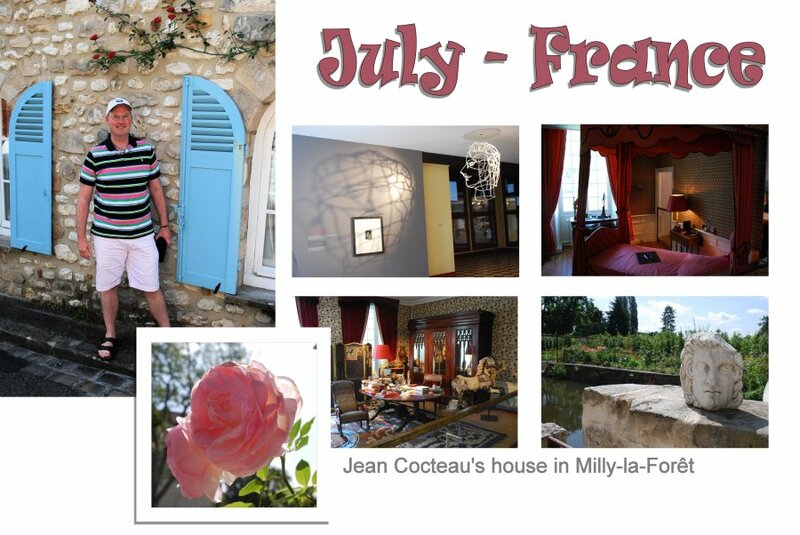 Cocteau's house, with its groovy leopard print wallpaper, and huge garden with fruit trees, roses, and a river. 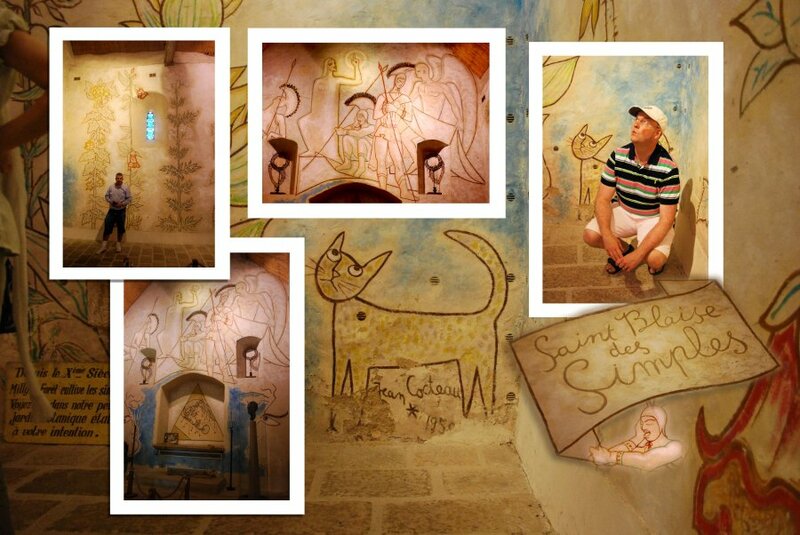 Cocteau's frescoes in Milly are very similar to those at the French church in London, but those don't have a cat. 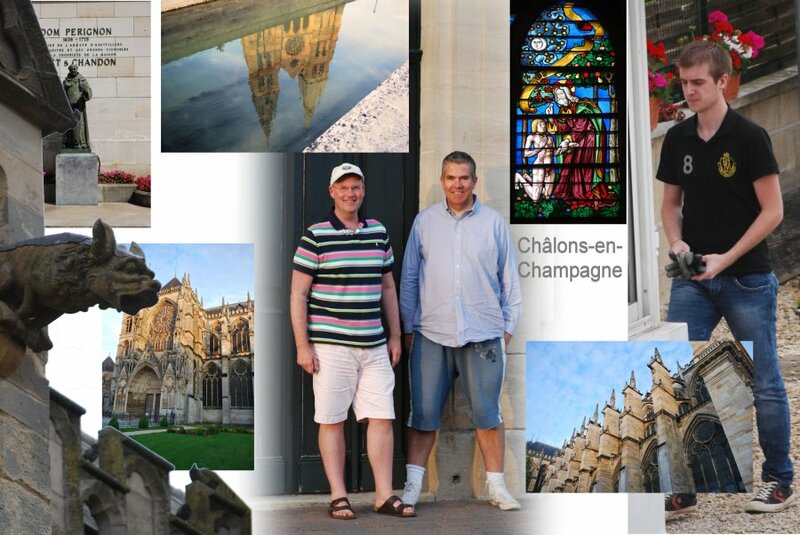 We stayed in Châlons-en-Champagne, a town with cathedrals galore, in the heart of the champagne area of France. There was an evening concert right outside our hotel window. The band used accordion, glockenspiel, flute, flugelhorn, and other instruments to good effect. 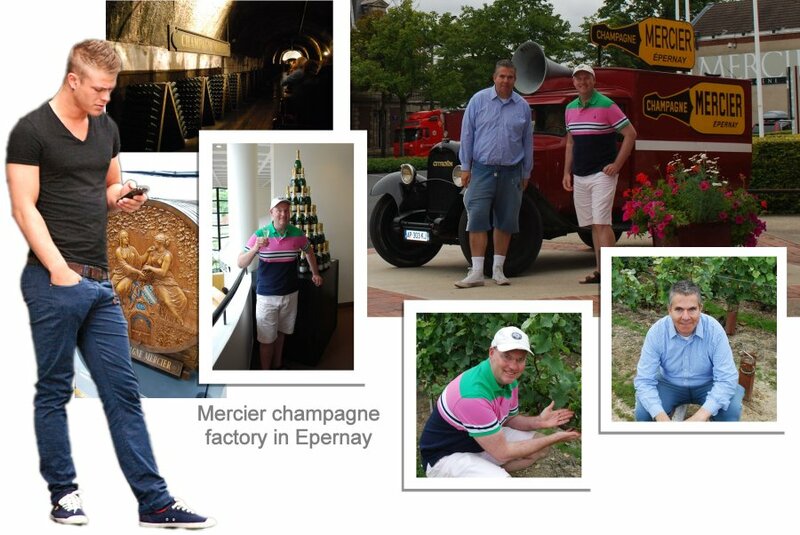 We took the train through the tunnels at the Mercier champagne factory and tasted some bubbly at the end of our ride. 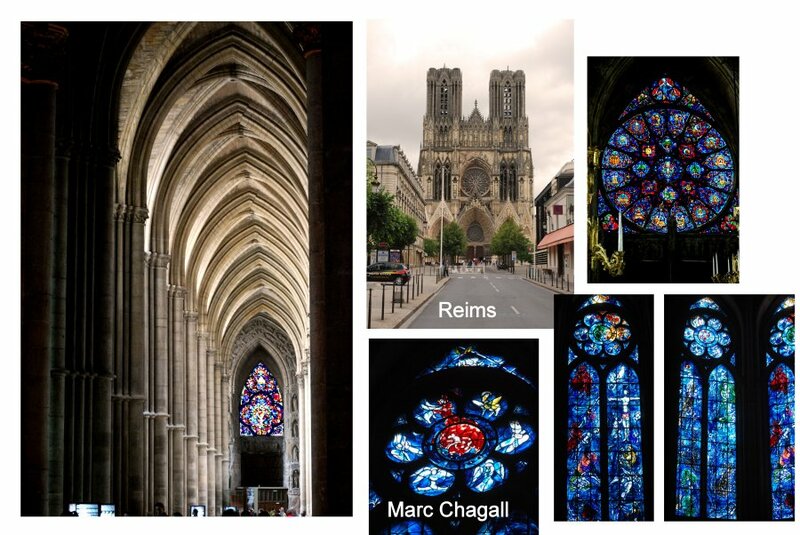 We missed the night-time "spectacle" of illuminations on the side of the cathedral (like in Rouen), but the Marc Chagall stained glass was a pleasant surprise. 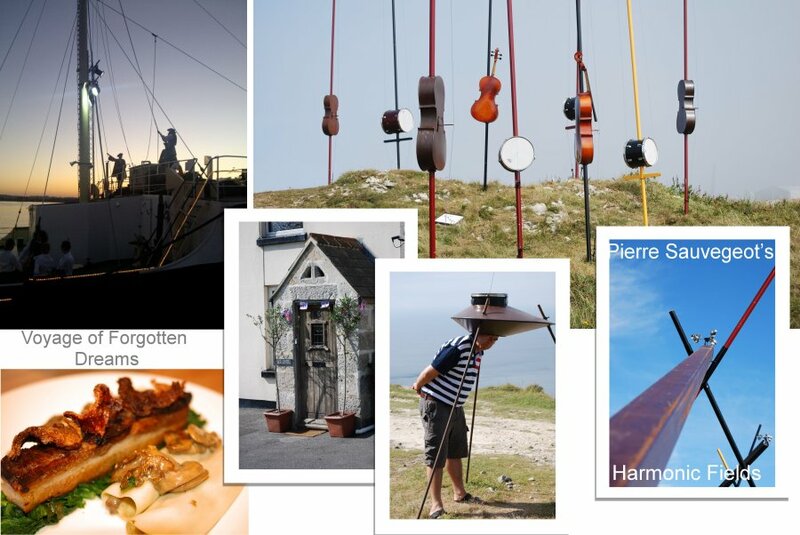 Pierre Sauvegeot's Harmonic Fields was an inspiring collection of 500 instruments played by the wind along a Dorset cliff top. These playful divers were seen near the Portland lighthouse. One of them lost his teeth the week before and was hoping to find them in the water.